The Spirited Table® is honored to share the Keesling family legacy of the Mountain Gorilla Conservation Fund. 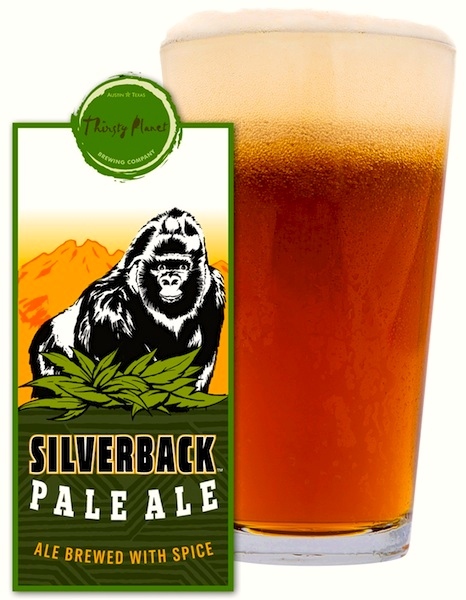 Today we go ape and lift a glass of Silverback Pale Ale in honor of the work, fun runs and brewing they are doing. Cheers to being the first keg tapped in the Governor’s home. Governor of Colorado, John Hickenlooper, a former brewer who founded the Wynkoop Brewing Company chose Silverback Pale Ale, as the first small batch keg tapped at the mansion on Thursday; and the plan is to rotate unique small batch brews from breweries all across the state. When Ruth Keesling took over the work after Dr. Dian Fossey's murder there were only 248 known mountain gorillas in the world. None of these animals are in captivity. Today, there are an estimated 880 alive and makes them the only Great Ape that is posting a positive increase in their population numbers. Frank and Vivian Keesling and their family, continue the work Ruth Keesling began.